Chawne Kimber is an award winning textile artist who has exhibited quilts and embroidery in galleries and festivals all over the United States. When not manipulating cotton, she is a professor of mathematics at a small liberal arts college in the Northeast. Chawne was our featured speaker for our guild meeting on June 21, then lead full day classes on June 22nd and 23rd. A surefire way to slow down your machine stitching is to stitch small things. We’ll construct a custom mini sampler quilt top whose blocks encourage practicing some efficient traditional and improvisational techniques specialized for smaller work. We’ll also discuss the visual impact of the use of varied scaling of blocks in our design work. 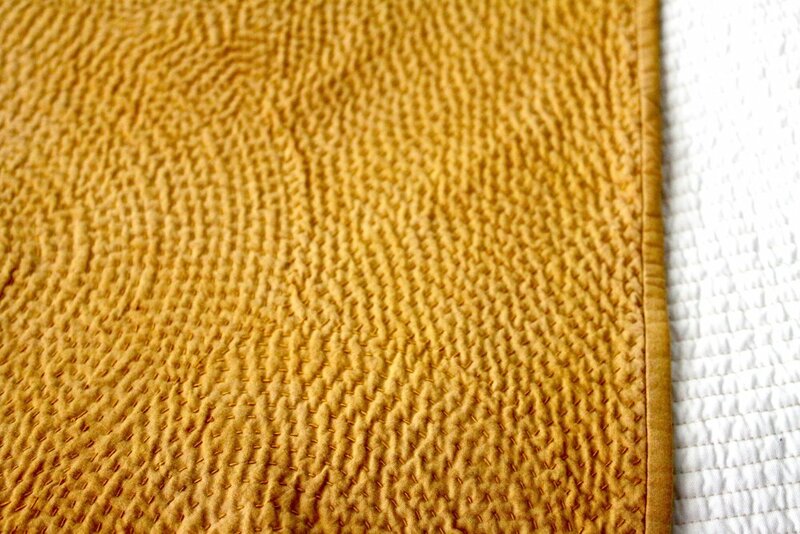 In the end, we’ll agree that small piecing can enhance our quilts without terribly increasing our workload. I'll bring my bin of scraps along and lots of samples. It will be a free-form class that starts with a trunk show and demonstrations of techniques. We'll follow up with open sewing time with one- on-one instruction. Hand quilting is super, super fun! And the best way to make something more fun is to improvise. So let’s practice the basics of hand quilting (beginners are welcome!) and then consider design and techniques for improv.